Is art more sombre than words? Is it easier to convey trauma and torment using art than through phraseology? Can art augment healing and restoration? Can art change the way we look at narratives of conflict and political unrest? Over the past two decades, graphic novels and the narrative of conflict have formed a peculiar relationship as the consumption of art as a medium of storytelling is slowly transforming our collective literary consciousness. Both publishers as well as readers have begun to get over their literary paranoia as more and more people take to graphic novels as a legitimate literary format. Moreover, the genre of graphic novels seemed to have evolved; it is no longer a form that is considered distracting juvenilia. Graphic novels are now serious business – bringing more controversial issues to the table, especially conflict, as more readers resort to the medium to understand the truths about particular world events. War, political unrest and human suffering are unlikely subjects of comic books. Despite this, graphic novels depicting these realities have become popular amongst readers owning to universal accessibility of this medium, coupled with the fact that information about difficult, political situations and atrocities seem almost filtered of their anguish and gore. Moreover, a lot of graphic novels are pivoted on the autobiographical accounts of conflict and trauma, which makes the genre critical in the literary world. But what is it about this intersection of conflict and comics that is so appealing to readers? Why do we, as readers, seek out comics, and not political commentaries, to understand and grasp narratives of war? Lastly, how are comics able to tell stories of conflict in a succinct manner, in spite of the allied anguish and distress that wars bring? I admit that, as a reader, I took to graphic novels depicting conflicts almost instantaneously. My tryst with graphic novels on conflict began when I picked up Persepolis by Marjane Satrapi in 2011. 2011 marked the beginning of the Arab Spring, and as a student of International Law, I wanted to know and understand more about revolutions, especially through various literary formats. Persepolis is Satrapi’s memoir and immerses the readers in a child’s lived realities of growing up in Tehran during the Islamic Revolution. With stark black and white illustrations, Persepolis takes us through Marji’s life as it gets entwined with the history of her country. The graphic novel is at once “the story of a childhood” and “the story of a return” as it serves as a reminder of the human cost of political repression and war. It is a bildungsroman set against the background of a political revolution that affirms the concept of writing as a form of protest. 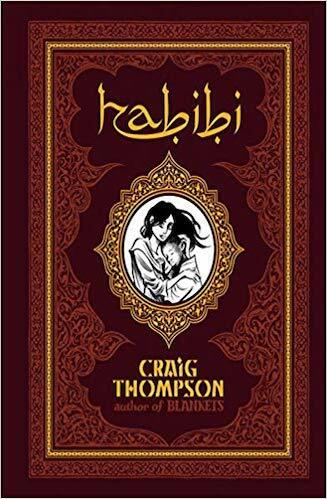 Years later in 2017 after hosting a book club session on graphic novels, I took to Craig Thompson’s Habibi, which is set in a timeless Middle East and tells the story of Dodola and Zam, two child slaves living in a malicious universe where sexual violence and murder is normalised. The graphic novel is not explicitly based on war, but Thompson’s fervent and majestic art brings pangs of a conflict-related anxiety as you flip through Habibi’s pages. The illustrations in Habibi are arresting, almost psychedelic – as we trace Dodola and Zam’s journey through Wanatolia. Though Thompson is often criticised for looking at Muslim culture through an Occidental lens, the expansive graphic novel, through its stupendous schema, shows us a world that has been ravaged by conflict. It would be criminal to leave out Art Spiegelman’s Maus while discussing comics on war. 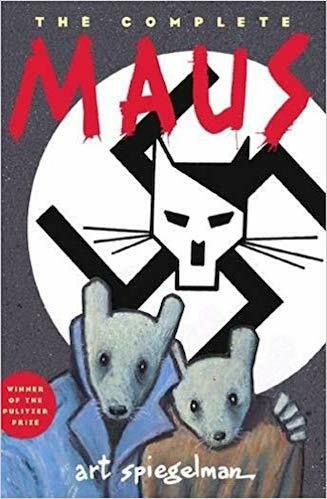 Maus memorialises Spiegelman’s father’s experience as a Holocaust survivor in Auschwitz, depicting the people within his graphic novel as animals – Nazis are cats, Jews are mice, the Poles are pigs and the Americans are dogs. Maus is a frighteningly powerful narrative of the Holocaust; it combines history, documentation of conflict and the sentimentality of loss in vivid ways, and went on to win a Pulitzer prize in 1992. For Spiegelman, it was never about reinventing “a swath of his chosen field”. He was only attempting to document his family history of trauma through an unheard of medium; for him, it had just been therapy, a way to keep himself from becoming unmoored. 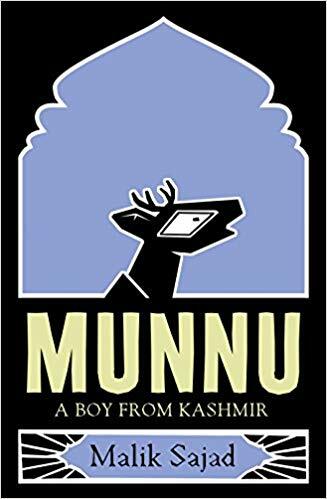 Inspired from Maus, Malik Sajad’s Munnu: A Boy From Kashmir shows us the reality of Kashmir, through his autobiographical protagonist, Munnu, who grows up in Srinagar, where militarisation and resistance are normalised and become the backdrop of the story. Like Spiegelman, Sajad depicts the oppressed – the Kashmiris – as hangul deer, while everyone else is human, in a bid to indicate how they have been completely dehumanised because of the politics of the conflict zone. Munnu brings us closer to what it means to be occupied, living and surviving under curfews, and the quotidian brutality of Kashmiri life; and through the art, it unveils the struggle of those in the Valley. I discovered Joe Sacco’s comics in 2017 and promptly became fixated with his work. 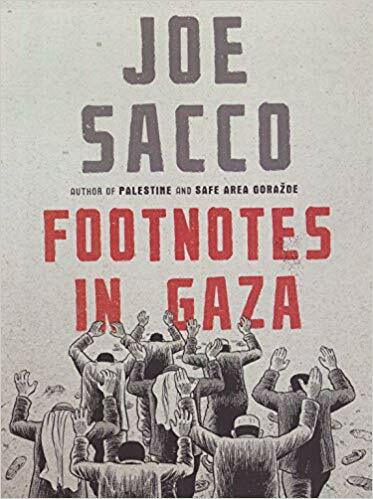 In Notes From A Defeatist, Sacco chronicles, in a bitterly self-deprecating manner, his journey of political journalism through writing and illustrating feverishly, within the political and historical context of him being a “war-junkie”. 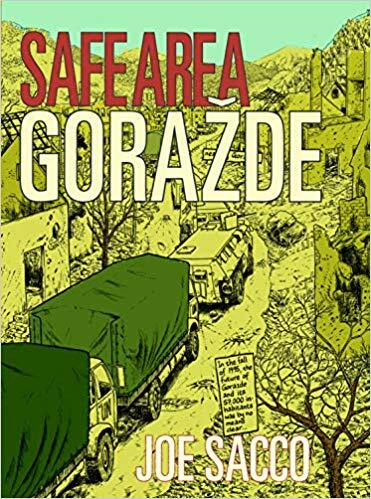 In his works Palestine, Safe Area Goražde and Footnotes In Gaza, Sacco employs graphic narratives to chart the space between history and war. His journalistic approach to war and the politics that enmesh it makes each panel tactile. Sacco’s “comics reporting” – he disagrees vehemently on the use of the phrase ‘graphic novel’ for this work, because he believes it takes away from the reality of his journalism – is effective, especially because his books chronicle the daily brutality and hardship of conflict-zones; the reader can see it in the expressions of his characters, the weariness of their bodies weighed down by war, their faces indicating an irreplaceable expression of fatigue. 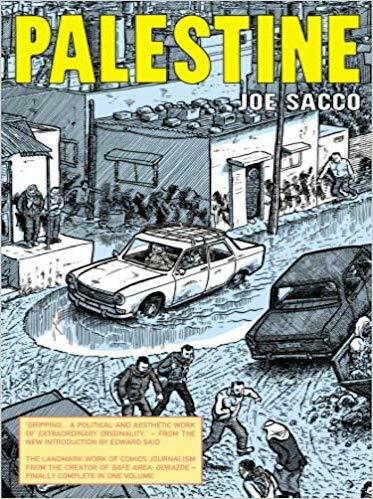 The fusion of art with a firm journalistic imperative makes Sacco’s work a canon in the genre of graphic novels on conflict. Hamid Sulaiman’s Freedom Hospital is the most recent graphic novel on conflict that I’ve read. Sulaiman participated in the Arab Spring movement against the totalitarian regime in Syria and having witnessed conflict first-hand, his work reads like a message of hope and freedom. It is the story of a clandestine hospital in the fictional town of Houria, in the backdrop of Assad’s brutal regime, that is a shelter for doctors, patients and revolutionaries. Sulaiman’s artwork is filled with flat blacks and stark white and therefore, both simplifies and complicates the effect of the conflict on his characters. 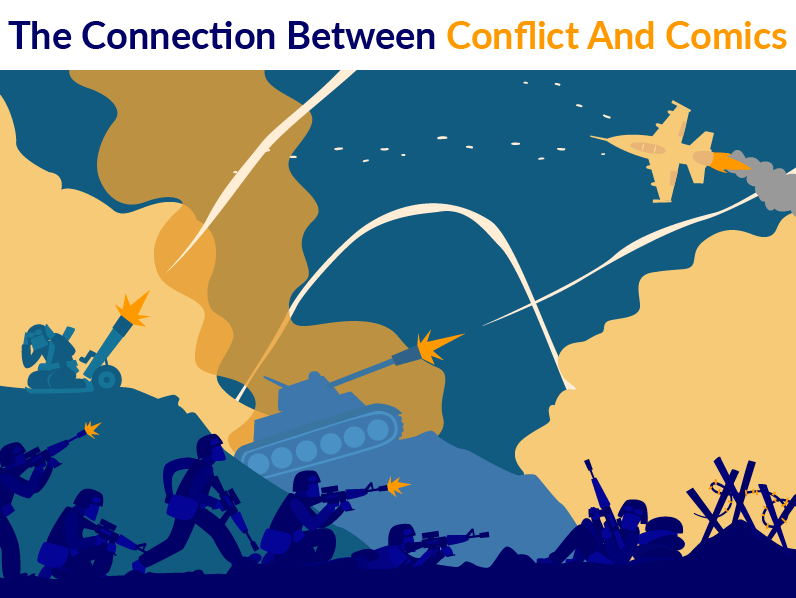 In his postscript, Sulaiman admits that his objective was not to document the conflict, because he believes that the war was far too complicated for both outsiders as well as insiders to fully grasp. Freedom Hospital is a poignant telling of his own reality, as he grappled with understanding the revolution. Joe Sacco has said that comics are naturally subversive; they look easy and that’s a part of their subversive nature. They are appealing, they are visceral and they are immediate, and this is accurate. Reading comics that house the narratives of conflict is both enriching and arduous. It is easier, as a reader, to consume the slivers of history and war, in a filtered-down way – the visual medium is an ingenious tool for communicating the horrors of war. Moreover, more often than not, comics that are centred around wars are also written and illustrated by artist-novelists whose lived realities inform the content of these panels, thereby making the medium representative. 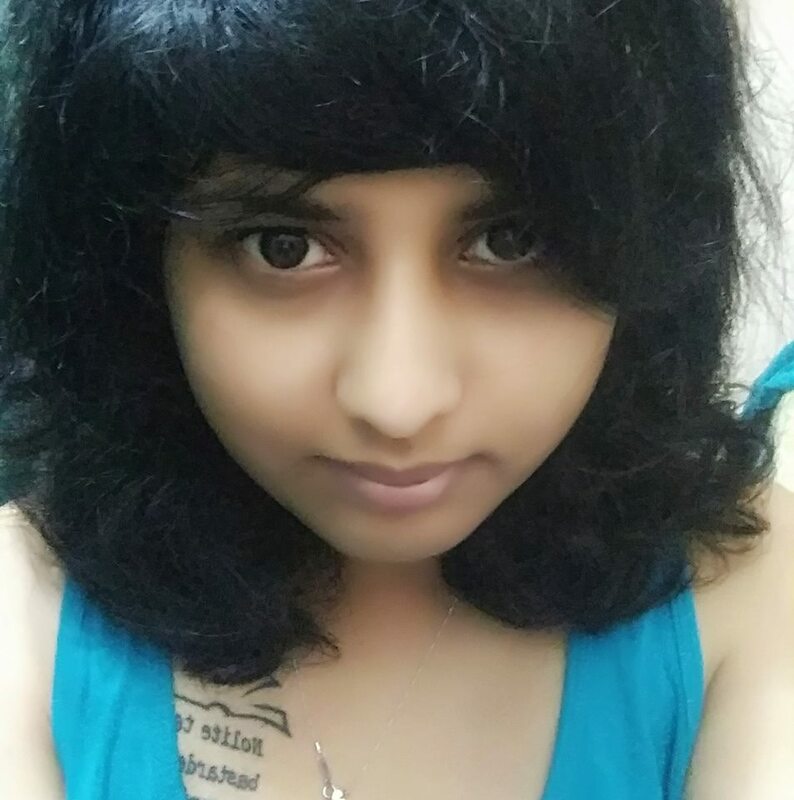 The genre does a peculiarly phenomenal job of connecting the writer and the reader through art; the reader consumes, while the writer reconciles with his experiences. In the midst of living through war, art is perhaps the only way to depict personal histories, and this is the reason why narratives of conflict in comics are so appealing to readers. What do you think is the connection between comics and conflict? Do you have any recommendations? Share your favourites with us in the comments below.